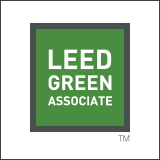 Use the LEED practice exam questions to assess your readiness to take the LEED Green Associate exam and LEED AP exam. The LEED practice questions simulate the actual exam and will help you prepare. The package includes 400 LEED practice questions for the LEED Green Associate Exam as well as 100 LEED practice questions for the LEED AP BD+C exam.